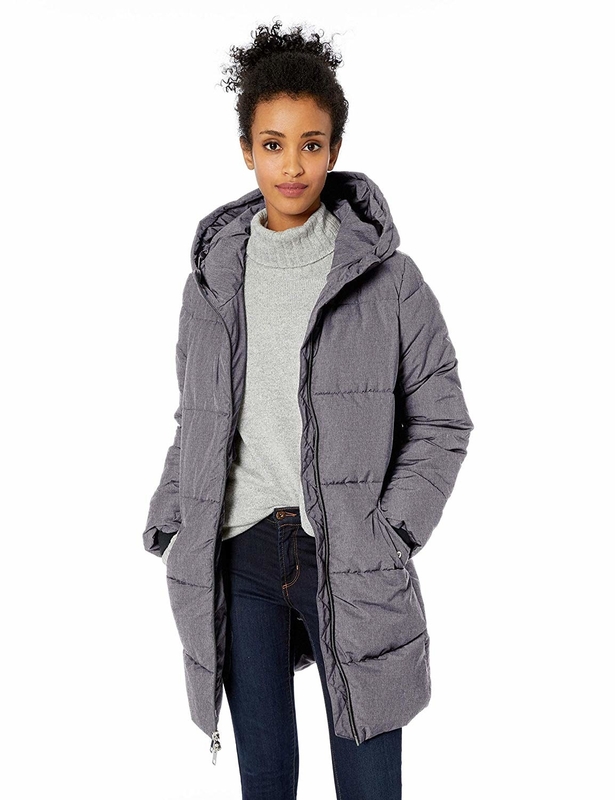 A bunch of super warm puffers and parkas that will turn you into Elsa. The cold? Will never bother you again. 1. A windproof parka so warm, you'll wonder how you ever faced the cold without it. "You were so brave" —you to your past self. Get it from Amazon for $129.99+ (available in sizes XXS-XXL and in five colors). Psst, the hood is removable! Get it from Uniqlo for $99.90 (available in sizes XXS-XXL and in five colors). 3. 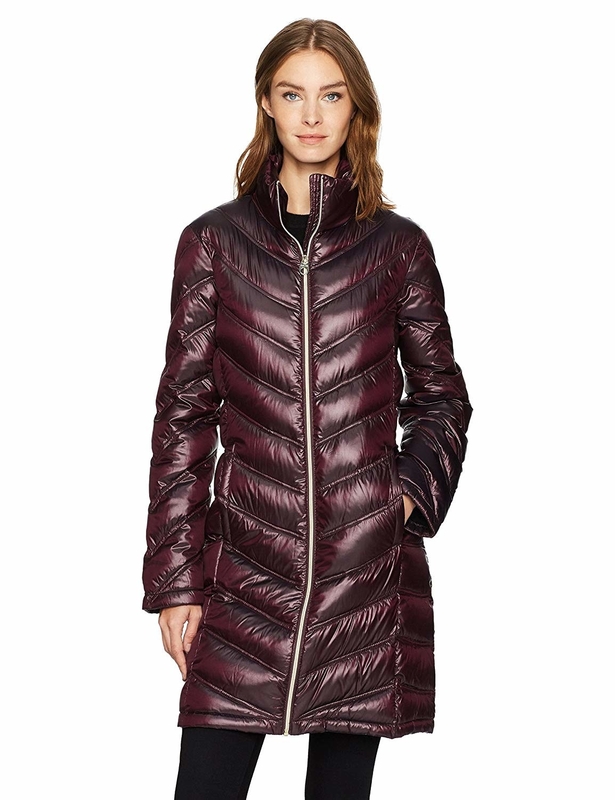 A packable chevron-quilted down coat capable of the unthinkable – keeping you stylish, chic, and actually warm. Now get that #ootd hashtag ready. Promising review: "I just moved to central Iowa and we recently had -40° weather. This coat had me nervous because it appears to be extremely thin, but it is actually super warm! It goes down to my knees and up to my nose if zipped all the way to the top, which helped when I was moving in that terrible weather. I would recommend this to anyone and might even get another in a different color!" —Rhiannon S.
Get it from Amazon for $69.99 (available in sizes XS-XL and in nine colors). 4. 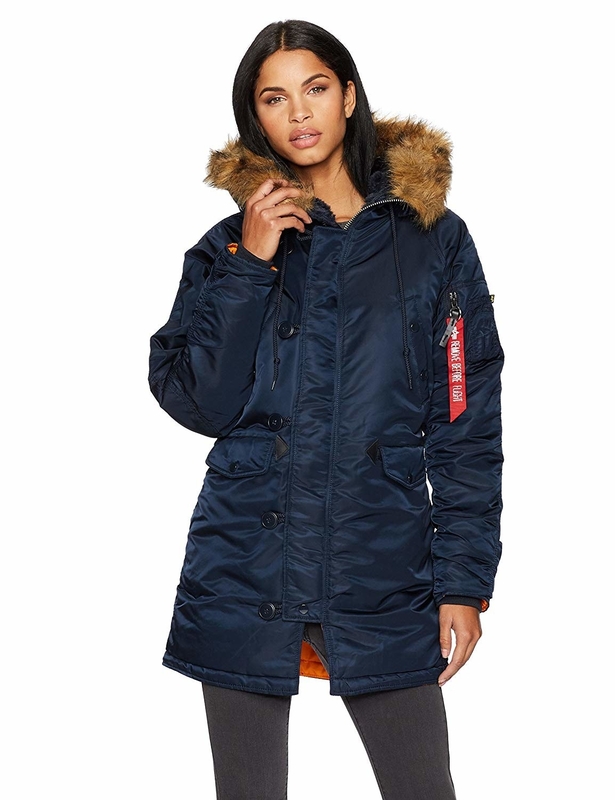 An oversized parka made from 56 renewed plastic bottles and 100% recycled PrimaLoft insulation. 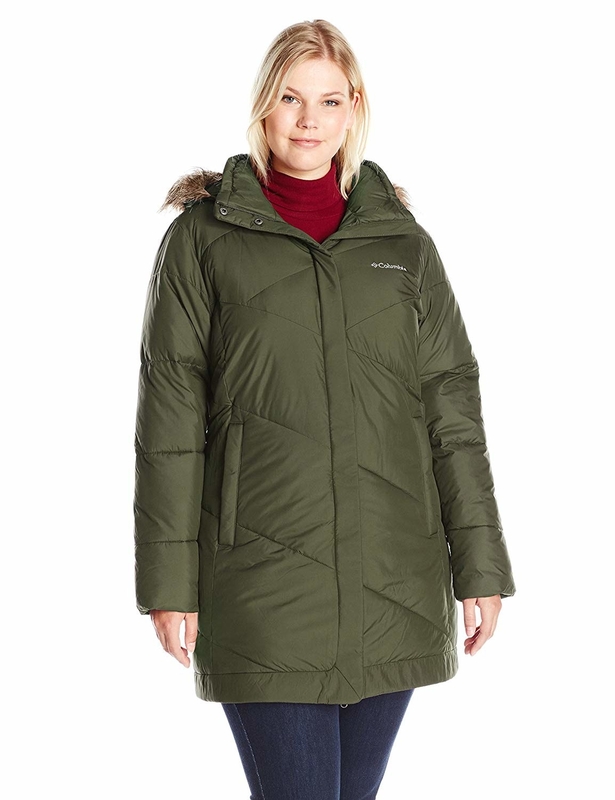 In English, this eco-friendly coat will help you withstand frigid temps of 0°F to 20°F. 5. A utility parka with a boxy and oversized silhouette, making it the perfect piece of outerwear to comfortably drape over your bulkiest sweaters. Fun fact! Alpha industries (the brand for le parka featured above) was originally a contractor for the United States military. Get it from Amazon for $192.50+ (available in sizes XS-XL and in four colors). 6. 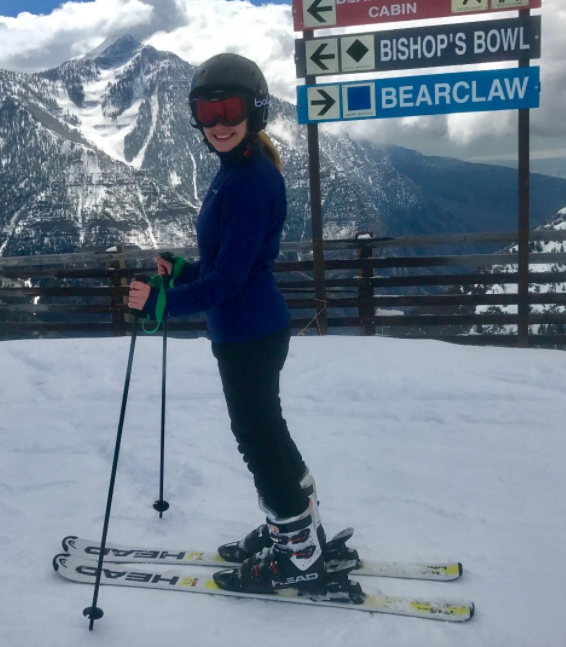 A waterproof ski jacket you'll want to pack for your next frigid vacation. 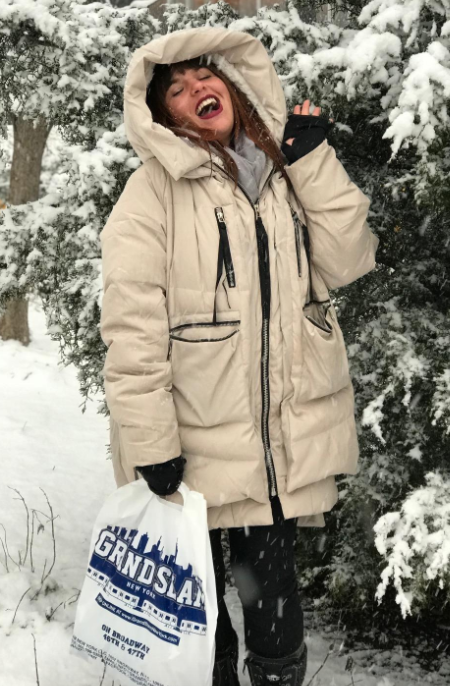 Not only will this keep you warm and dry, but it is also designed with pockets large enough to hold your most essential items (like...your phone). Get it from Amazon for $78.89 (available in sizes S-XXL and in six colors). 7. A snow jacket that might just encourage you to get out there and build some snowmen. This is even designed with thumbholes, meaning you can slip on some gloves and rest assured that no snow will creep in. Get it from Target for $59.99 (available in sizes XS-XXL and in three colors). 8. A mid-length jacket perfect for days when the weather can best be described as "my face hurts". A warm hat + thick socks + this coat = the best cold weather defense. Get it from Amazon for $118.57+ (available in sizes 1X-3X and in six colors). 9. A responsibly-sourced goose down puffer with a detachable hood + water-repellent exterior fabric. OH! And did I mention this is engineered to keep you warm in -22°F weather? Because it is. 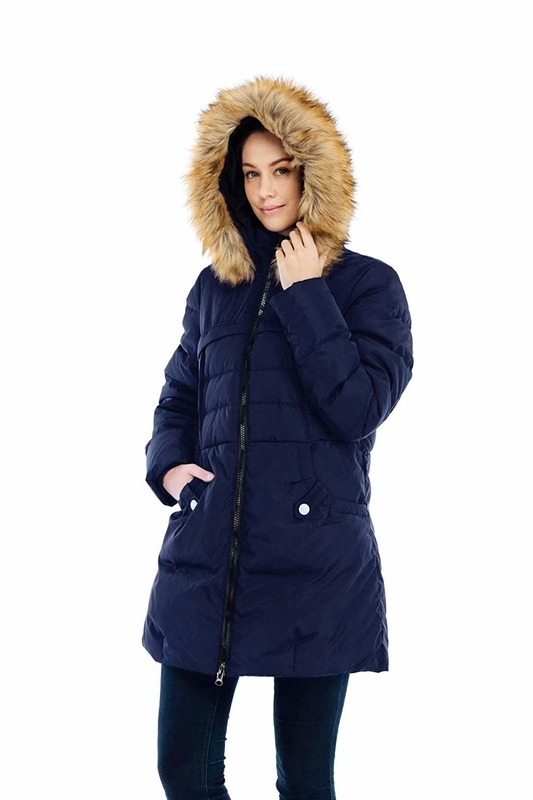 Promising review: "Love this coat! It is unbelievably warm. I got the black shiny one and receive compliments on it all the time. 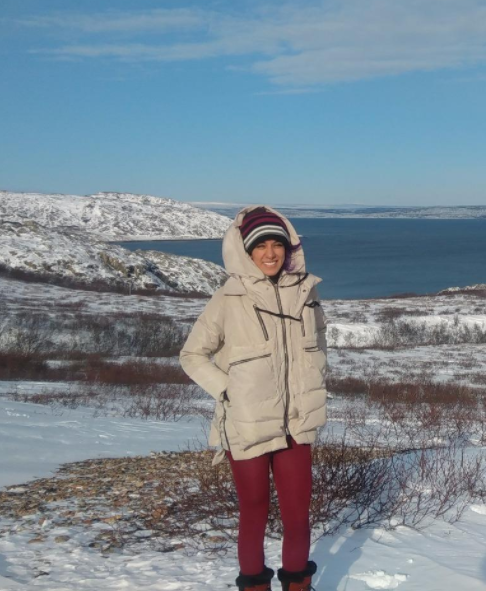 It’s still a decently loose fit and I can wear thick sweaters and hoodies underneath without it feeling too snug." —Natalie R.
Get it from Aritzia for $228 (available in sizes XXXS-L and in eight colors). 10. A hooded coat available in seven neutral colors that won't clash with anything in your closet. Yes, you'll finally be able to rock those highlighter yellow gloves your grandma knit you (definitely not a personal story). Get it from Amazon for $89.99+ (available in sizes XS-3X and in seven colors). 11. A water-resistant puffer with an adjustable waistband AKA wave goodbye to compromising your hourglass silhouette for warmth. Get it from Nordstrom for $175 (available in sizes 1X-3X). 12. 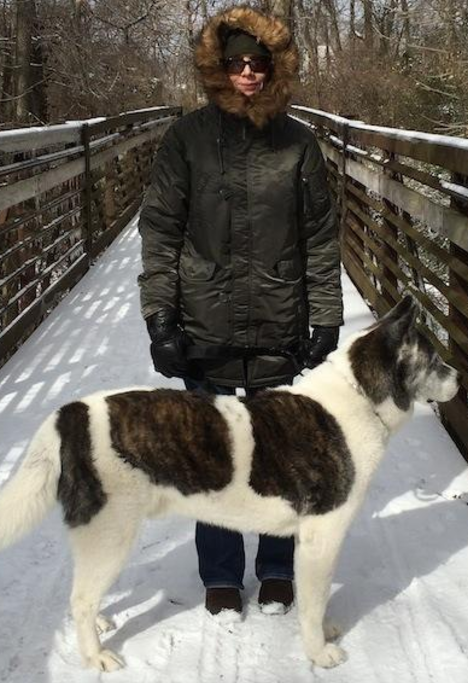 A three-quarter length coat that laughs in the face of cold (up to -40°). If you're looking to make a worthy investment, say "ding ding ding" because you have a winner. Get it from L.L. Bean for $239 (available in sizes XS-XL and petite sizes and five colors). 13. 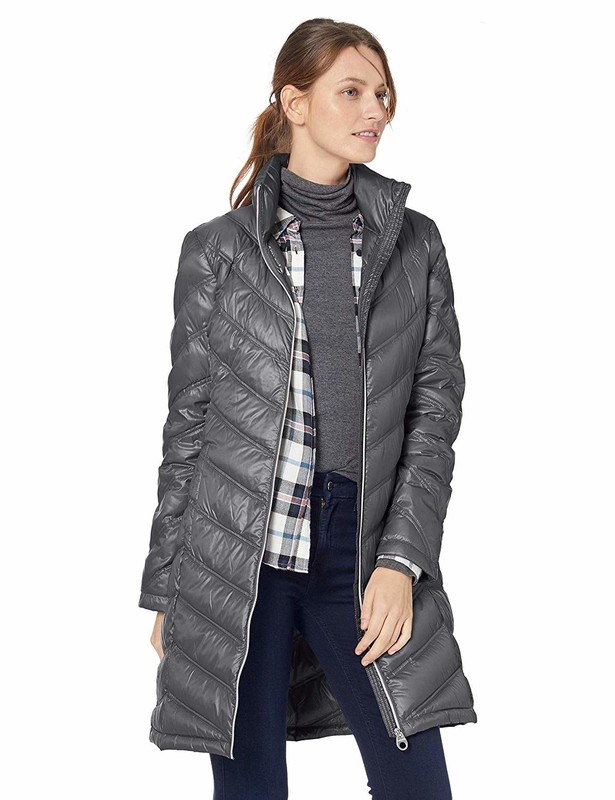 A PrimaLoft puffer guaranteed to become your "I wear this every single day" coat. From hikes and work to happy hour, this will become your new go-to. Get it from Amazon for $79 (available in sizes XS-XXL and in three colors). 14. 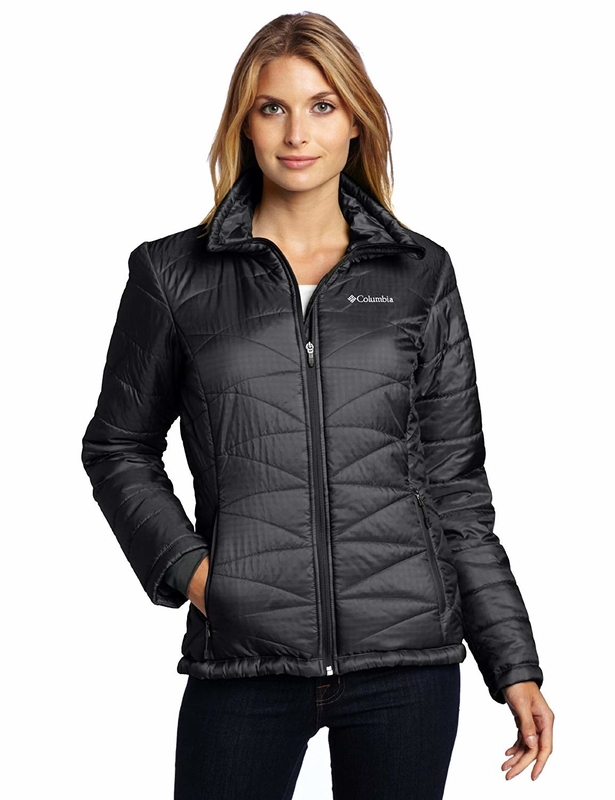 A cropped puffer featuring an insulated hood to keep your noggin feeling toastier than toast. It's made from PrimaLoft insulation to keep the rest of your upper-half feeling toasty, too. 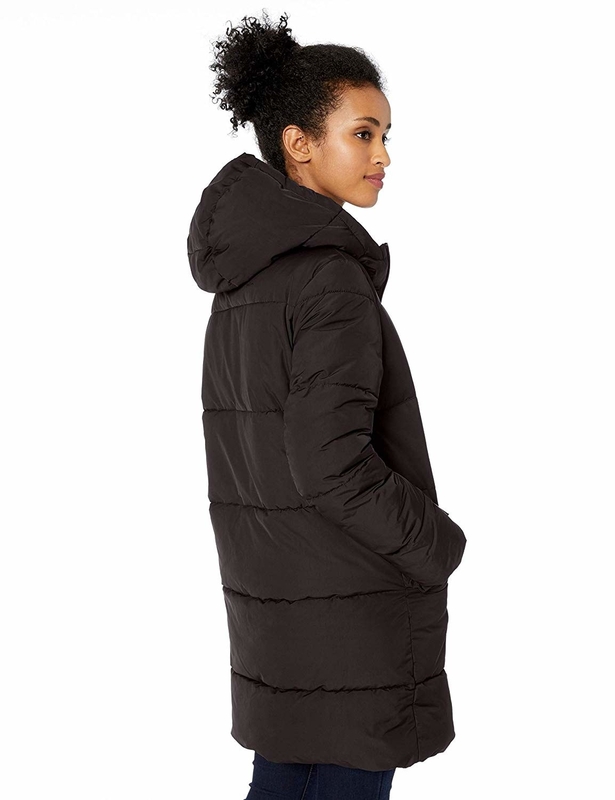 This puffer is made from 47 renewed plastic bottles and recycled materials, and is best for temps between 20°F to 40°F. Get it from Everlane for $125 (traditional retail value at $295, available in sizes XXS-XL and in three colors). 15. A winter jacket with Omni-Heat lining to keep you warm, BUT! It's also super lightweight, making it the perfect layer for skiing and other tortuous snow-related activities. Get it from Amazon for $70.32+ (available in sizes XS-XL). 16. 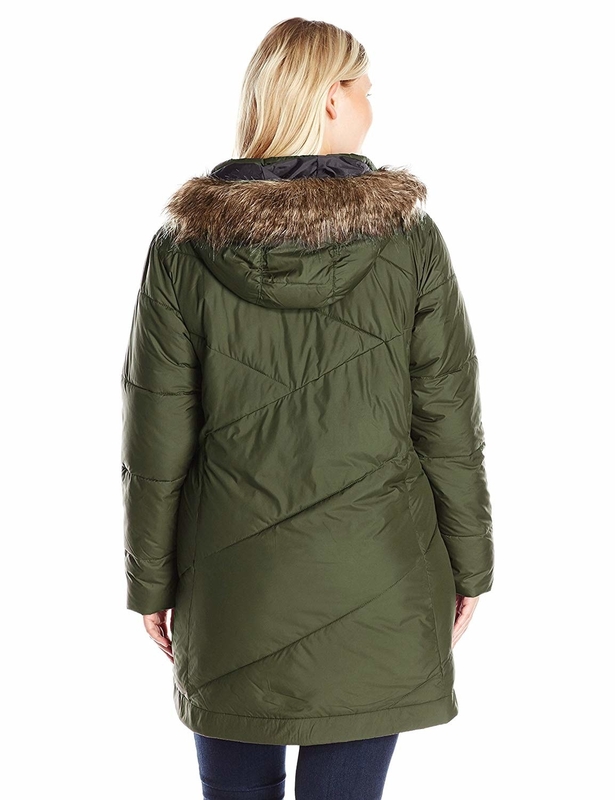 A thigh-length parka you'll be able to quickly slip on before leaving the house. In a rush? Rest assured that this beauty will keep you WARM — no matter the weather. Get it from Target for $59.99 (available in sizes XS-XXL and in four colors). 17. A packable puffer featuring gorgeous peplum detailing for a look that is both functioning and unique. And that blue hue? Fabulous dah-ling. Get it from Lane Bryant for $71.39 (originally $118.99, available in sizes 10-20). If only Sir Snow had access to this list, am I right?